She is an international student from Vietnam & recently graduated Bachelor of Business (Accountancy) from RMIT University with Distinction. Quinnie is a diligent & highly motivated graduate with profound Accounting & Financial background (Bachelor of Business), willing to learn, experience & explore herself more in office workplace and professional environment. 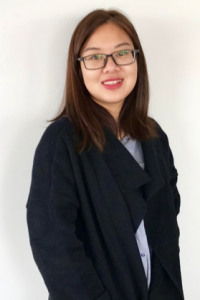 Currently, she is working part-time as a sale assistant at Paper Kites Shop in Melbourne Central Shopping Centre, and also pursuing a Professional Year Program (Accounting) at Navitas Institute. Quinnie’s work experience has enabled her to be detailed oriented person with good customer services and communication, team work and multitasking skills. Quinnie is currently live in Braybrook, the West suburb of Melbourne with her brother. Her hobbies are swimming, music, food and traveling.